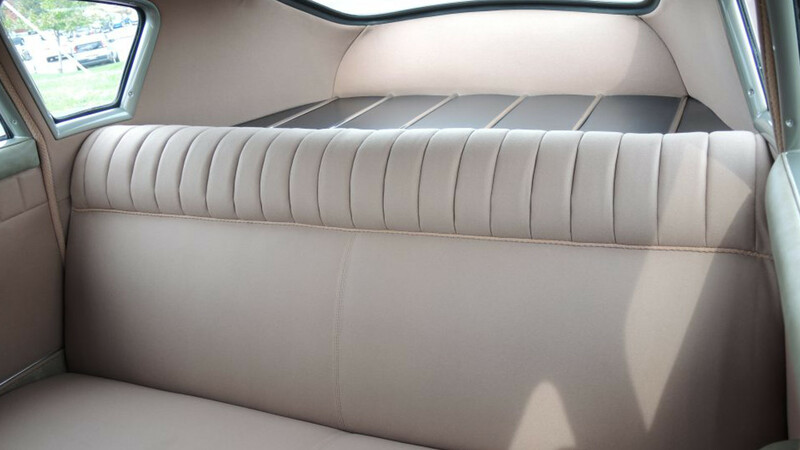 With only 47 surviving examples, each and every Tucker '48 has its own well-documented story. Some have enjoyed a pampered life in the hands of wealthy collectors, others have been hidden away from creditors and seized in narcotics raids. One even sat in a barn for the last thirty years. But it's car #1046 that's had maybe the strangest ride over the last seventy years—converted to a front-engine setup in the mid-1960s using a 390 V8 and chassis from a Mercury Monterey Parklane, it's been literally rebuilt from the ground up and brought back to original specs by noted Tucker experts Nostalgic Motoring, resulting in probably the nicest '48 on the planet right now. 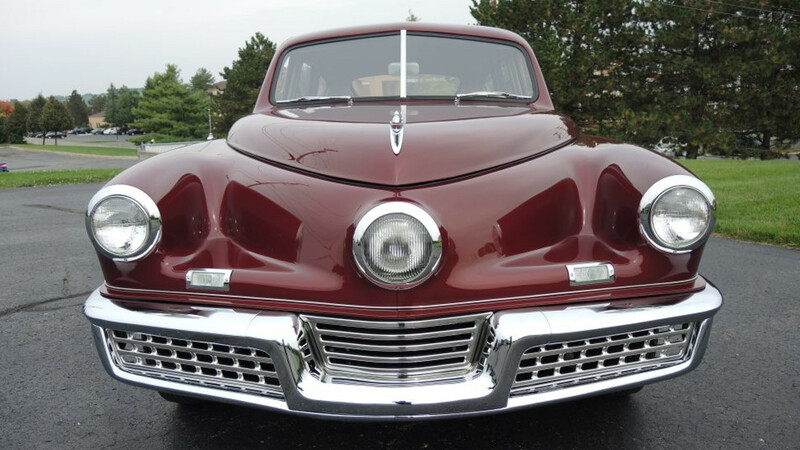 Now before you start throwing things at the thought of someone carving up a Tucker, keep in mind that after the company went out of business at the conclusion of its (mostly nonsense) SEC trial in 1950, the cars were seen as more as curiosities than collectibles - except for a man named Nick Jenin, who started buying up Tuckers through the rest of the decade and assembled a collection of ten that he would bring to various fairs and exhibitions as "The Fabulous Tuckers." 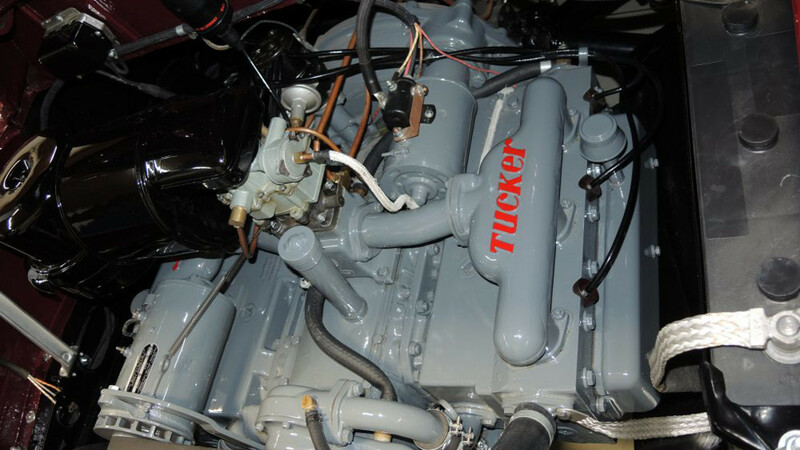 He loved them so much that he wanted his daughter to have one she could drive every day, but understanding the car's complexity, he decided to convert #1046 to a standard front-engine layout using an Oldsmobile donor. 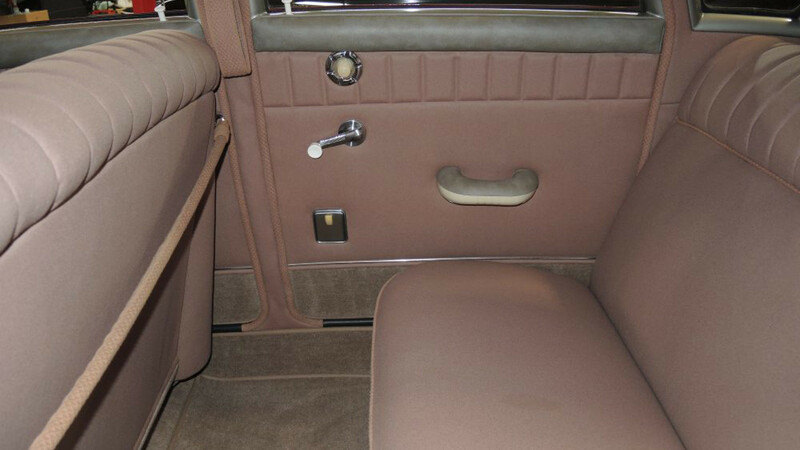 In 1963, after failing to find a buyer for the whole collection - even Harrah's wasn't interested at the time, passing on the $38,000 price - Jenin sold #1046 to a Mercury dealer in Oregon who understandably couldn't abide the Oldsmobile running gear and swapped in the Mercury components. 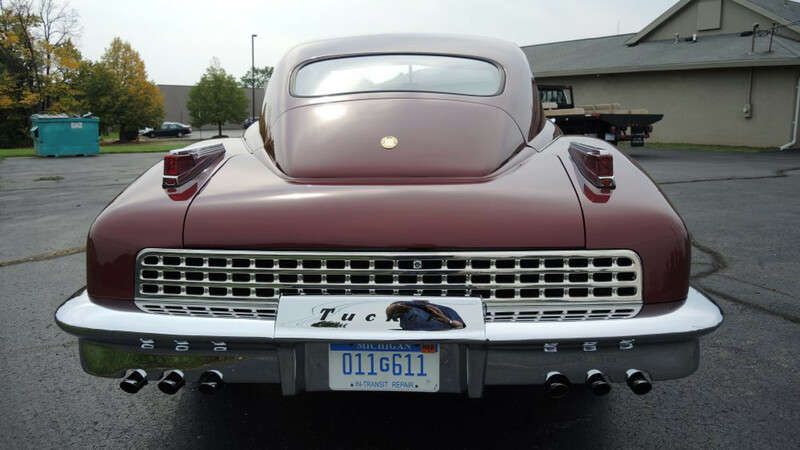 It was used as a promotional vehicle for decades and later added to the Tucker Club's database as the true oddball in the bunch before being sold to a private couple in the early 2000s. 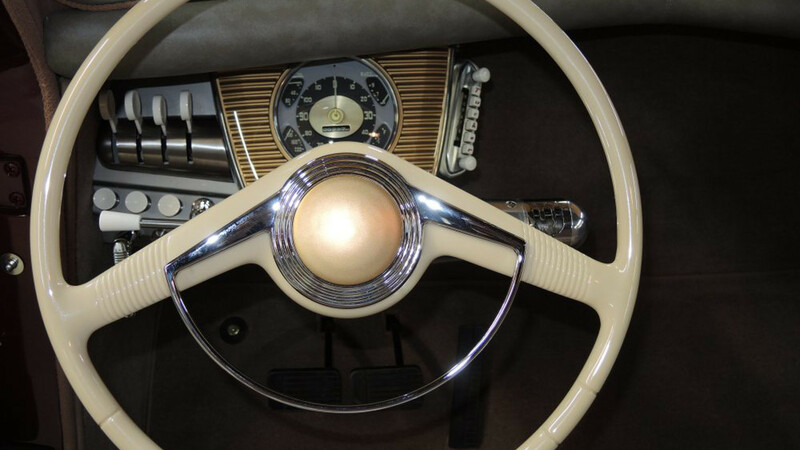 It popped up on eBay in 2007 with a hideous gold paint job, selling for little over $200,000 and eventually finding its way into the safe hands of Nostalgic Motoring. 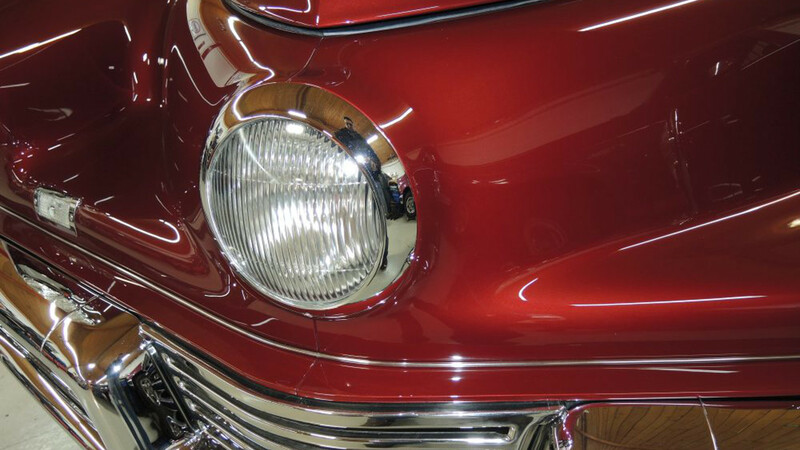 After working for years, proprietor Mark Lieberman just completed a "no expense spared, rotisserie restoration," on the car, sourcing an original flat 6 engine and transmission, restoring the original factory Maroon paint job and beige interior, rebuilding the unique torsilastic suspension, and generally turning this seventy year old car into a showroom floor model. 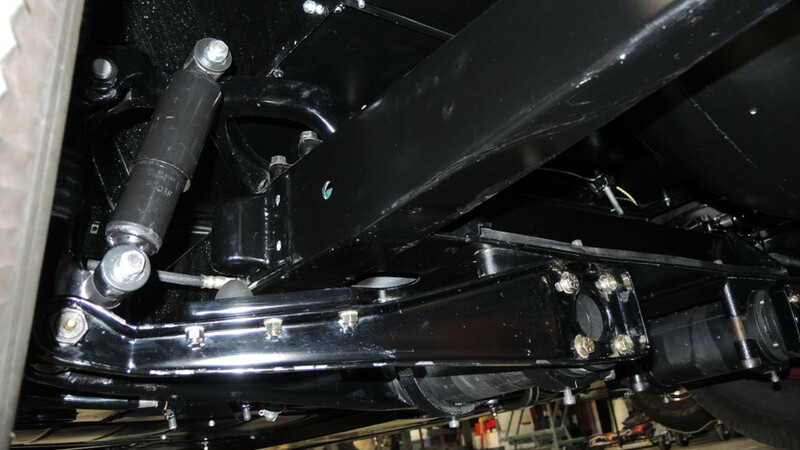 It's stunning how clean everything looks, especially the undercarriage. 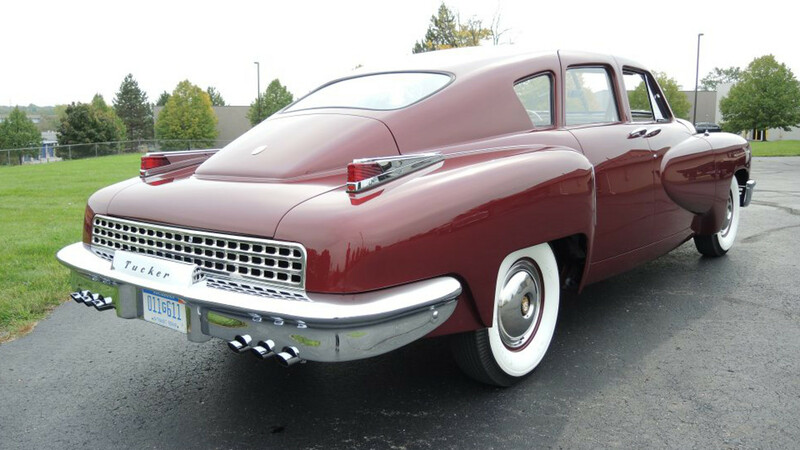 We could go on and on about all the design and safety features pioneered by Preston Tucker - the rotating headlight, padded dash, safety glass, and easy-out engine mounts, just to name a few - but the $2.1 million price tag shows that too many people already know all about this special machine. So we'll let the pictures do the talking. 70-year-old Mohammad Mohiedine Anis returned to find most of his 30 classics destroyed or badly damaged.